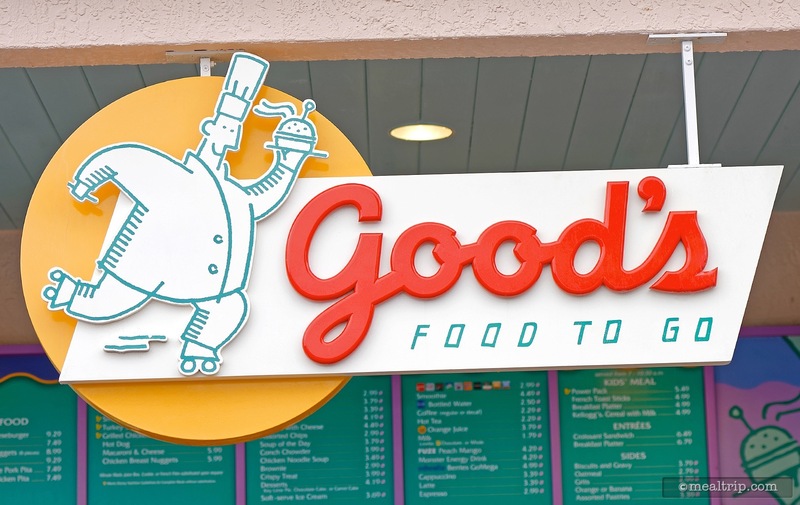 Good’s is a very small, all outdoor counter service location, just around the corner from Olivia’s. There are a few umbrella covered benches that overlook a small marina setting, with the resort’s pool and lighthouse in the background. Food-wise, there are a couple of hot breakfast items here including a Croissant Sandwich, the standard Breakfast Platter, and Biscuits and Gravy. The lunch and dinner menus are the same and offer the usual burgers and wraps that you will find elsewhere. There are a few noteworthy options here though, including the Key West Barbecue Pork Pita and a Caribbean Jerk Chicken Pita. 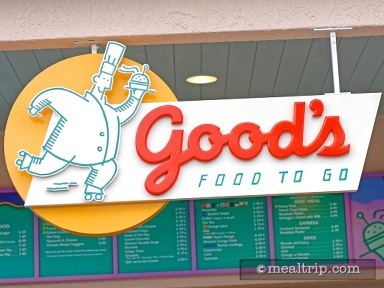 A Conch Chowder is also usually available.